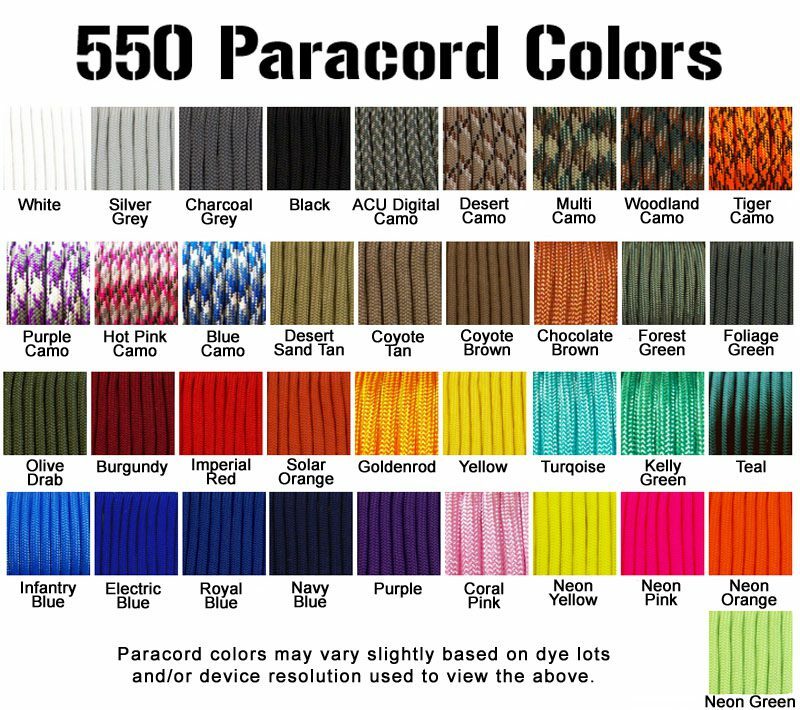 Once you place your order we'll send you instructions on how and where to send your tags. 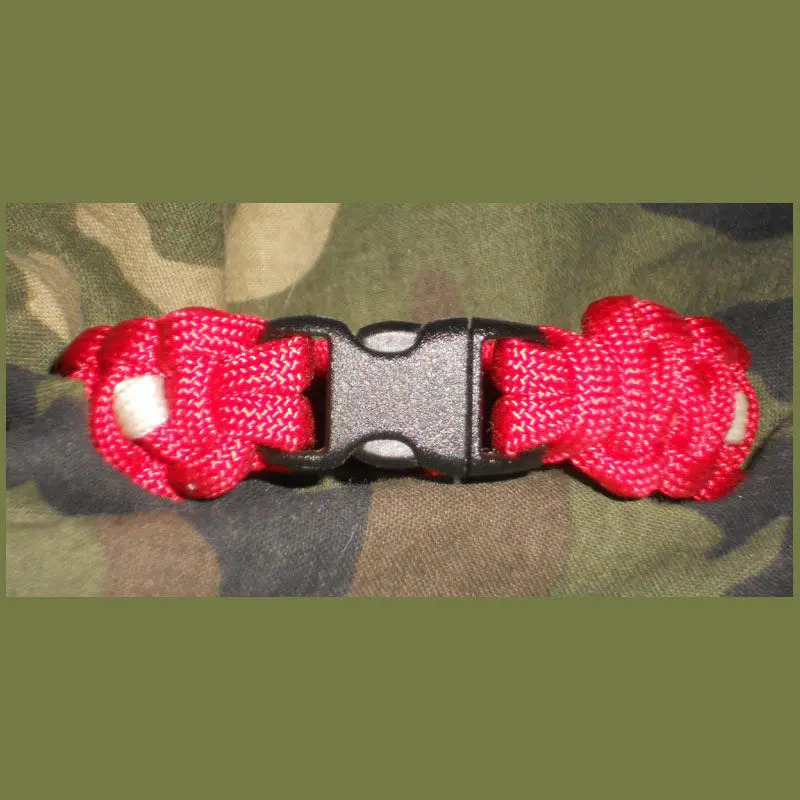 This bracelet allows you to send us your Military Service dog tag or those of a family member or friend to incorporate into a paracord bracelet for you. You have the choice of the standard Cobra Knot or the King Cobra. The King Cobra comes with our larger 1/2 inch durable contour buckle. Be sure to view our size comparison info to make sure the King Cobra is for you — it is one substantial bracelet! 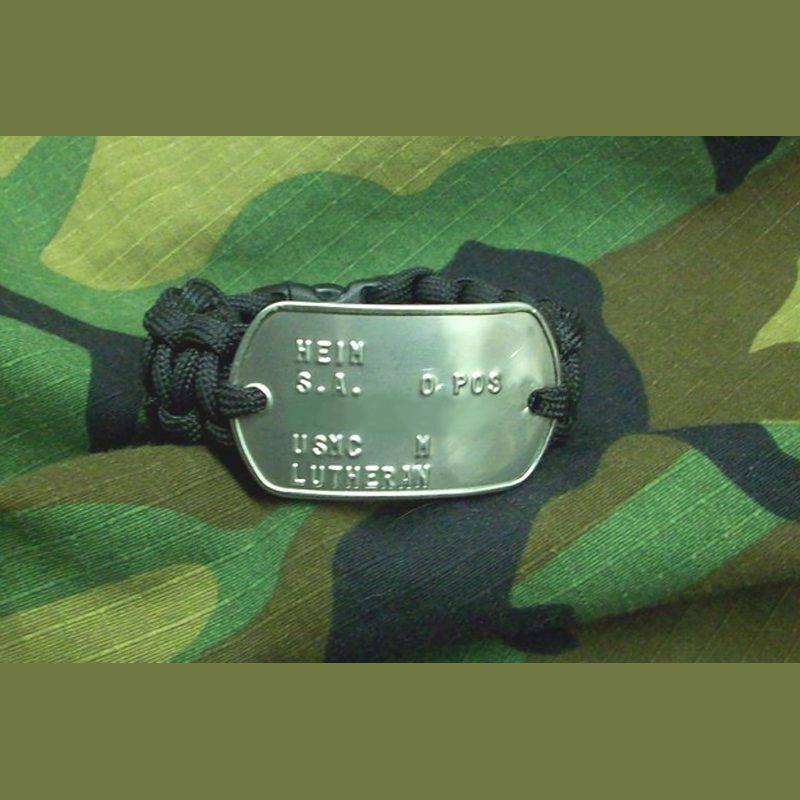 Send us your dog tag and we'll turn it into a bracelet you can wear! Keep those serving our country in your thoughts and prayers every day by using an active duty dog tag. Or for those who have made the ultimate sacrifice keep their memory close by creating a bracelet using one of their dog tags. 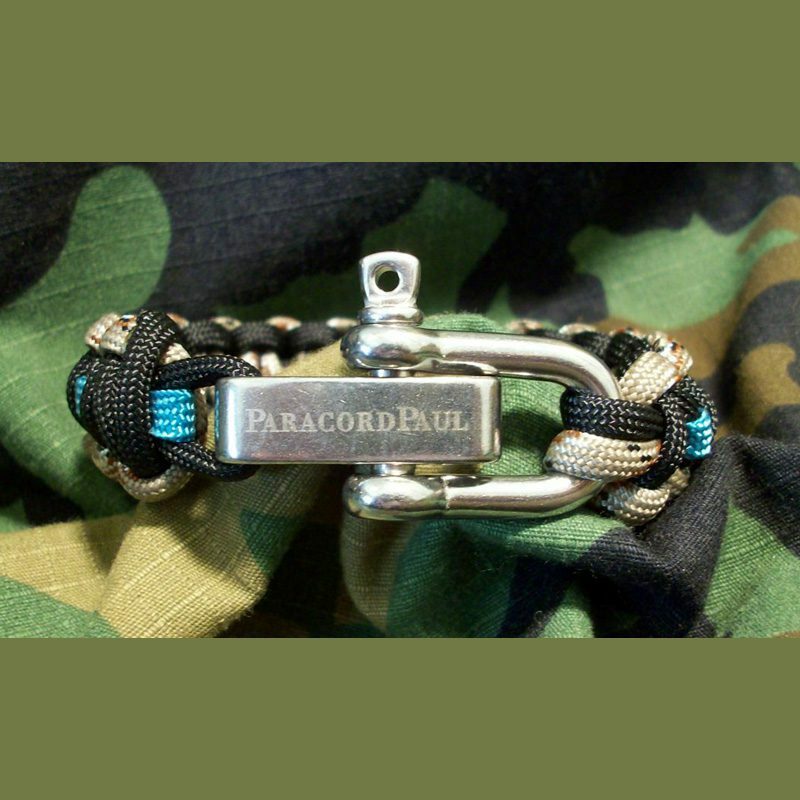 If you want a custom text dog tag bracelet and don't have a dog tag to send us — check out our Memorial Custom Text Paracord Dog Tag Bracelet.